| Product introduction| ◎Outer material | Cotton linen, cotton cloth, zipper ◎ Size | Length 20cm, bottom 6cm, height 9cm | Process | 1 Select the product style, note the order details, complete the order 2 2 - 3 days after the payment is completed, MIX will make it for you and send it out. 3 Taiwan's main island mailing shipment arrives in about 1-2 days; convenience store shipment arrives in about 48 hours 4 Leave a review for MIX and get a coupon <3 | About MIX | Buy cloth, cut cloth, sewing to hand sewing, like a quiet time for one person Looking forward to finding all kinds of fabrics with great anticipation, trying to create different possibilities Hand-made temperature brews every story about everything around you For MIX, handwriting is a process of healing yourself, and you are hoping to receive them. 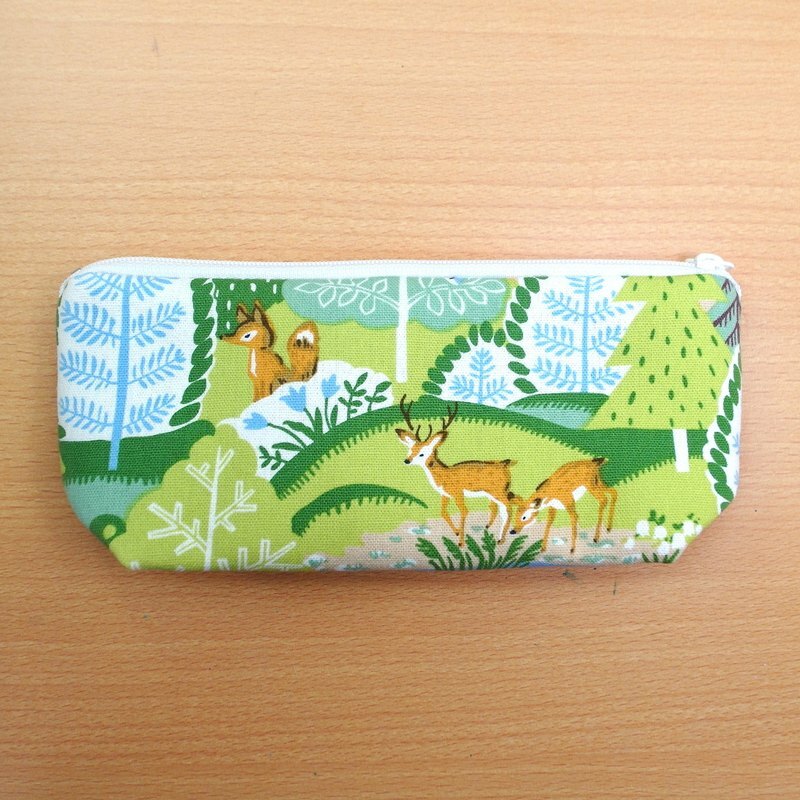 The pencil case is our memory from small to large. We always like to stuff small paper strips, pens of various colors, paper tape, like a treasure bag, you can pick out the desired items at any time. MIX uses a cute cloth to lining, making the pen bag stiff and thick, and the inner layer is lined with a comfortable cotton cloth, so that every time you open the pen bag, you have a good mood. The bottom of the pen bag is six centimeters wide, you can put down all your favorite pens and small items, and you won't give up the nest because you can't let go~ ♥ If there is a gift request, you can make a note in the order, MIX can pack it for you~ ♥ 急 急 Please ask the private designer in advance to ask if you have time to place an order! ♥ If you have a favorite color and want to make other products, please feel free to discuss it. 裁 Closing the fabric may result in the product being not exactly the same as the photo. For example, it is recommended to purchase a simple, repeating pattern. If you have any questions, please feel free to click "Contact Designer" to discuss!